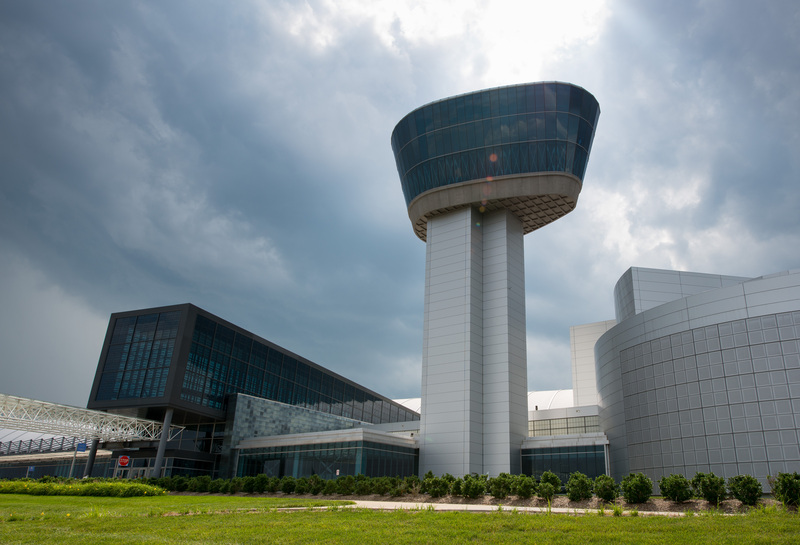 If you haven’t visited the Steven F. Udvar-Hazy Center of the National Air and Space Museum, aka the “airplane museum” that opened in 2003 — you need to make the trek to Chantilly, Virginia for a visit. But — be prepared for a lot of walking, particularly if you want to see it all from a variety of angles and levels. Of course, I couldn’t help but wonder, who in the heck is Steven F. Udar-Hazy who has two huge hangars with his name on them, housing all this cool stuff? Hazy was born in 1946 in Budapest, Hungary and came to the US in 1958 from Soviet occupied Hungary. He graduated with a bachelors degree in Arts/Science at the University of California in Los Angeles. A self-made billionaire, worth a cool $3.7 billion. Per Forbes, he is the current CEO and Chairman of Air Lease Corp. Forbes also calls him, “the godfather of the airplane leasing industry and has built two billion-dollar companies over the span of four decades.” Steven Udar-Hazy gave a $66M grant to the Smithsonian Institution to build the Center — so I guess that’s why his name is on the hangars. Before heading to visit the Center, one might not be overly excited unless you really like planes — but just wait until you walk inside and see all the cool stuff on display. 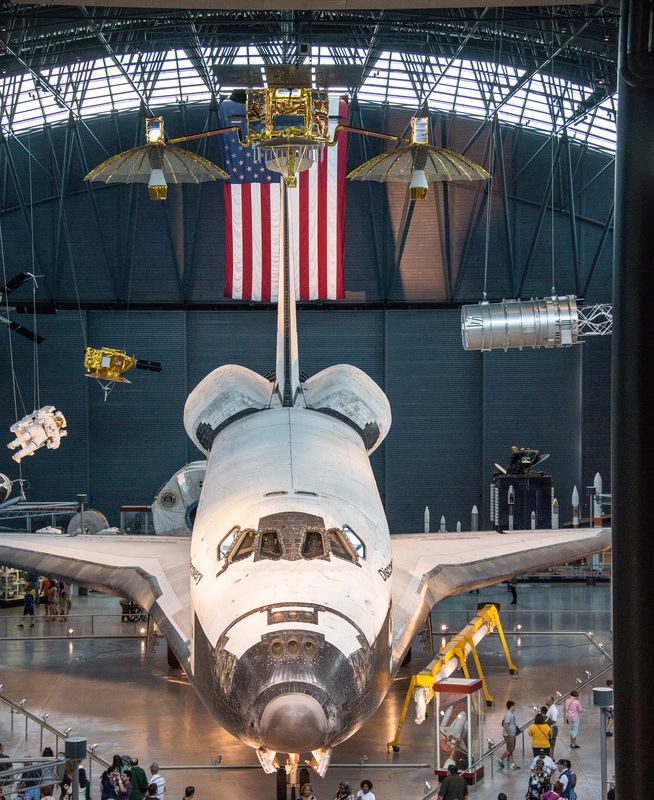 Who would not be enamored with the Space Shuttle Discovery… poised perfectly, directly in front of the American Flag draped at the back of the hanger? 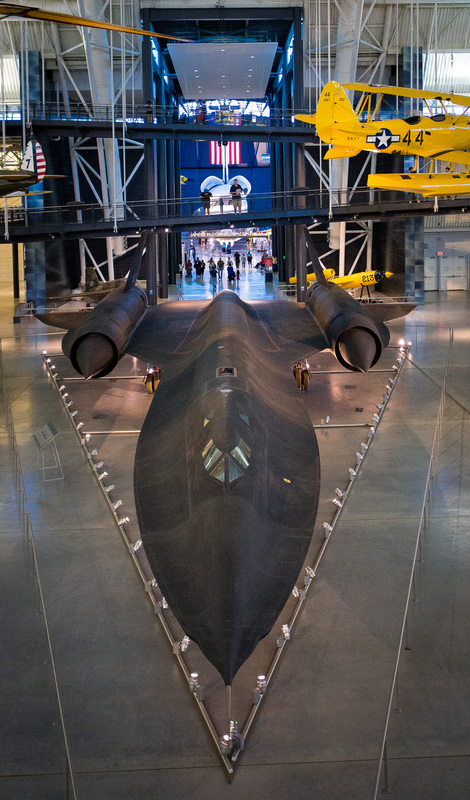 Or the Lockheed SR-71 Blackbird, the world’s fastest plane, who flew from London to New York, 3,508 miles, in a mere 1 hour 54 minutes and 56.4 seconds! The spy plane, viewable as soon as you walk in to the museum, is quite a sight and only one of 32 planes built. You’ll find the F-14, from the movie “Top Gun” in the Center… and as I walked by all I could think of was: “I feel the need, the need for speed”. Admittedly the M*A*S*H helicopter was pretty cool and if I wasn’t thinking about “the need for speed,” “Suicide is Painless,” the theme song from “M*A*S*H, rang in my head.